Clearance Priced at Only $9.97 Each!! Would you like to get all of the benefits of a modern high powered Hypnosis & NLP program, but at a bargain basement price? 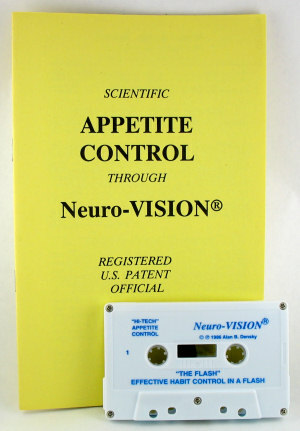 In the 'good old days' (a couple of years ago) people purchased our Diet Hypnosis and Quit Smoking Hypnosis programs on cassette tape. However, today, most people want to purchase our self hypnosis programs on CD. 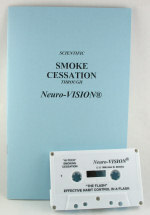 That leaves us with an inventory of both Weight Loss Hypnosis Tapes and Quit Smoking Hypnosis Tapes on audio cassette. This inventory provides a big opportunity for you! If you are good at following directions, you can save a lot of money with this program. 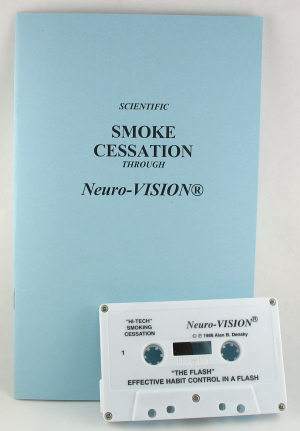 My thorough instruction booklet guides you through the process of using my powerful Ericksonian Hypnosis and NLP methods to eliminate stress and oral cravings. You will lose your cravings and your appetite. You will eat less, and you will lose weight. This program consists of 4 office sessions. The professional fee for this program in my office is $320.00. Your Clearance Price $9.97 + That's an amazing $2.49 per session! You receive my Exclusive 90 Day No Questions Asked Money Back Guarantee. You must be thrilled or you get your money back! You will lose your cravings and your urges to smoke. You will quit smoking without willpower, struggle, or gaining weight!